Our work, when earnestly undertaken, lays us open to attacks in the direction of depression. Who can bear the weight of souls without sometimes sinking to the dust? Passionate longings after men’s conversion, if not fully satisfied (and when are they? ), consume the soul with anxiety and disappointment. To see the hopeful turn aside, the godly grow cold, professors abusing their privileges, and sinners waxing more bold in sin — are not these sights enough to crush us to the earth? The kingdom comes not as we would, the reverend name is not hallowed as we desire, and for this we must weep. How can we be otherwise than sorrowful, while men believe not our report, and the divine arm is not revealed? All mental work tends to weary and to depress, for much study is a weariness of the flesh; but ours is more than mental work — it is heart work, the labor of our inmost soul. How often, on Lord’s-day evenings, do we feel as if life were completely washed out of us! After pouring out our souls over our congregations, we feel like empty earthen pitchers which a child might break. Probably, if we were more like Paul, and watched for souls at a nobler rate, we should know more of what it is to be eaten up by the zeal of the Lord’s house. It is our duty and our privilege to exhaust our lives for Jesus. We are not to be living specimens of men in fine preservation, but living sacrifices, whose lot is to be consumed; we are to spend and to be spent, not to lay ourselves up in lavender, and nurse our flesh. Such soul-travail as that of a faithful minister will bring on occasional seasons of exhaustion, when heart and flesh will fail. Moses’ hands grew heavy in intercession, and Paul cried out, “Who is sufficient for these things?” Even John the Baptist is thought to have had his fainting fits, and the apostles were once amazed, and were sore afraid. Let a man be naturally as blithe as a bird, he will hardly be able to bear up year after year against such a suicidal process; he will make his study a prison and his books the warders of a gaol, while nature lies outside his window calling him to health and beckoning him to joy. He who forgets the humming of the bees among the heather, the cooing of the wood-pigeons in the forest, the song of birds in the woods, the rippling of rills among the rushes, and the sighing of the wind among the pines, needs not wonder if his heart forgets to sing and his soul grows heavy. A day’s breathing of fresh air upon the hills, or a few hours’ ramble in the beech woods’ umbrageous calm, would sweep the cobwebs out of the brain of scores of our toiling ministers who are now but half alive. A mouthful of sea air, or a stiff walk in the wind’s face, would not give grace to the soul, but it would yield oxygen to the body, which is next best. 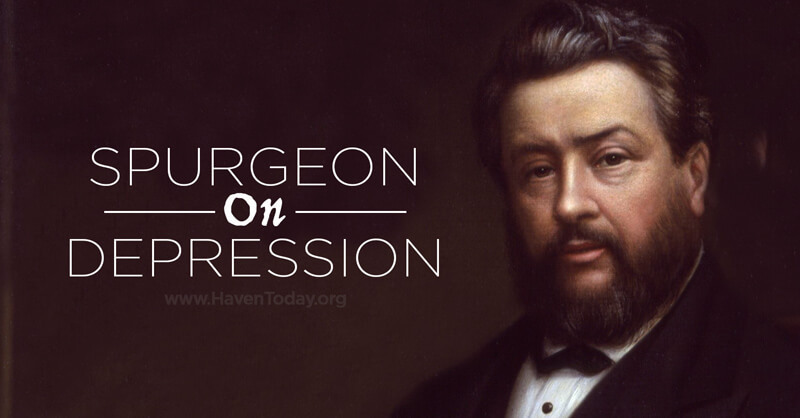 “Spurgeon on Depression” is so awesome! Thank you!